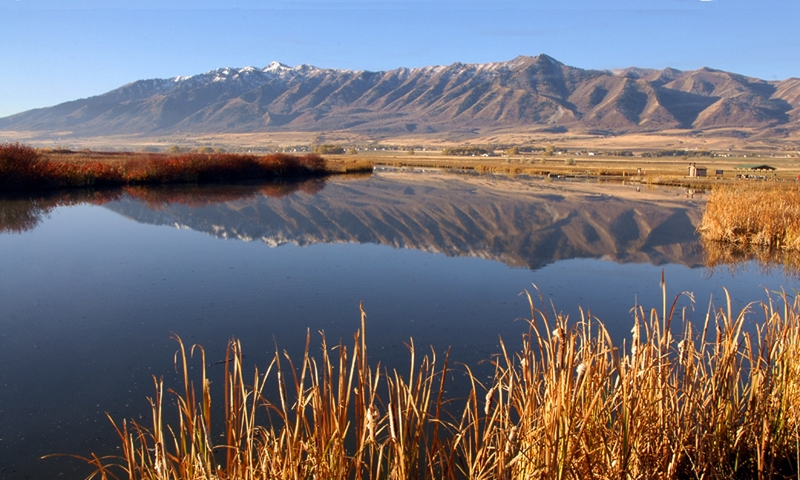 While hiking mountains meadows in spring, you will likely encounter earthen tubes that meander across the soil surface. These are remnants of the winter tunnels of pocket gophers. Often called ropes, these dirt cores result from pocket gophers burrowing for food all winter long. They dig under the snow, backfilling their tunnels with dirt. 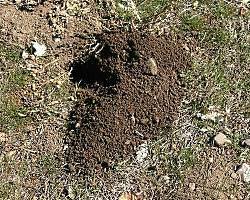 Another surface clue to pocket gophers’ presence are the hills of soil that they push to the surface. The tunnel opening in the hill is closed with an earthen plug. Pocket gophers are superbly adapted for their subterranean lifestyle. Their eyes and ears are tiny. In compensation for poor eyesight, they have long whiskers or vibrissae on their snout. The vibrissae are very sensitive to touch and allow them to navigate in their dark tunnels. In reverse, they rely on their stubby, hairless tails to guide them as they run backwards. These little rodents have formidable tools for digging. Their front claws are long and stout and powered by impressive shoulder muscles. As with all rodents, the incisor teeth grow constantly, offsetting the abrasion of biting through hard soil and roots. Cleverly, the lips close behind their front teeth which keeps their mouth clean of dirt. These gophers really do have pockets: fur-lined cheek pouches which they use to carry food to the storage areas of their burrows. Pocket gophers are vegetarians, eating roots and bulbs below ground and stems and leaves above. Their plant diet and tunneling cause many farmers and homeowners to consider them a terrible nuisance, but pocket gophers also contribute to a healthy ecosystem. One pocket gopher will move up to 4 tons of soil each year, alleviating soil compaction. They bring fresh mineral soil to the surface and fertilize belowground with their droppings and leftover stashes of vegetation. Their tunnels provide habitat for other animals that live underground. 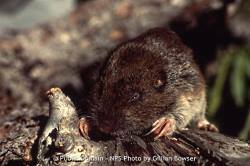 Many mammals, birds and snakes dine on pocket gophers. If you find a gopher mound, try watching quietly. 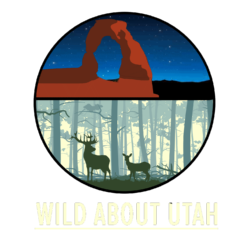 If you are really lucky, as our Wild About Utah web guru, Lyle Bingham was, you may see one pop its little head out for a quick look around.